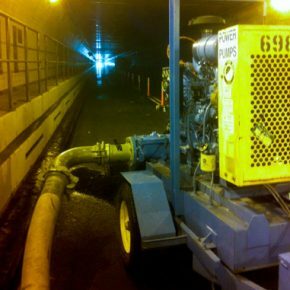 Rain for Rent’s proven track record in handling Superstorm Hurricane Sandy and Hurricane Katrina has seasoned us with the experience to help with natural disasters requiring emergency bypasses and dewatering. How is Rain for Rent ready to help? We will assess your liquid handling need and create a custom design to minimize interruption. This can help reduce downtime in case of emergency. We will be on stand-by for the first call in all emergencies. 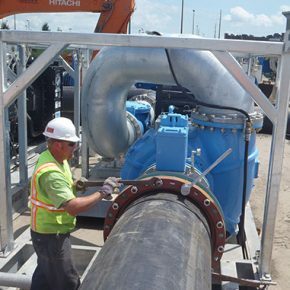 For a more time-sensitive area, keep our equipment on your site at stand-by rate for faster deployment. What kind of equipment do we provide for storms? We are known for our emergency response and have helped in many natural disasters. When things get bad, quicker responses are needed. Rain for Rent is strategically located to respond quickly to any emergency pumping or bypass needs. 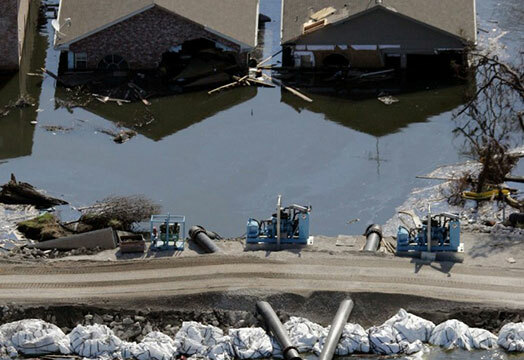 Superstorm Sandy: Mobilizing more than 520 pumps and 100 personnel to New York / New Jersey area. 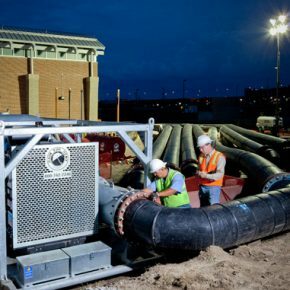 576 MGD bypass saves Omaha from Flooding. Temporary pumps moved floodwaters through the repaired 17th Street Canal Levee in the aftermath of Hurricane Katrina in New Orleans.